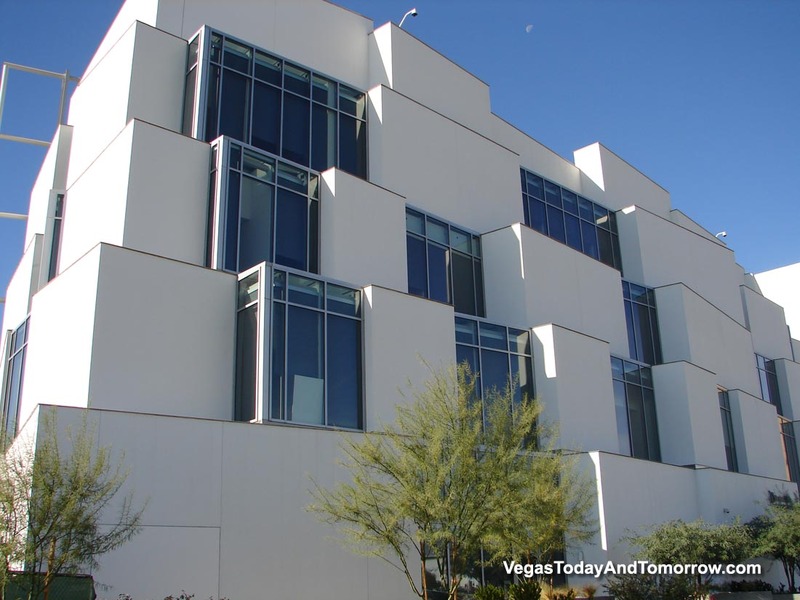 Ruvo Center opens for business. 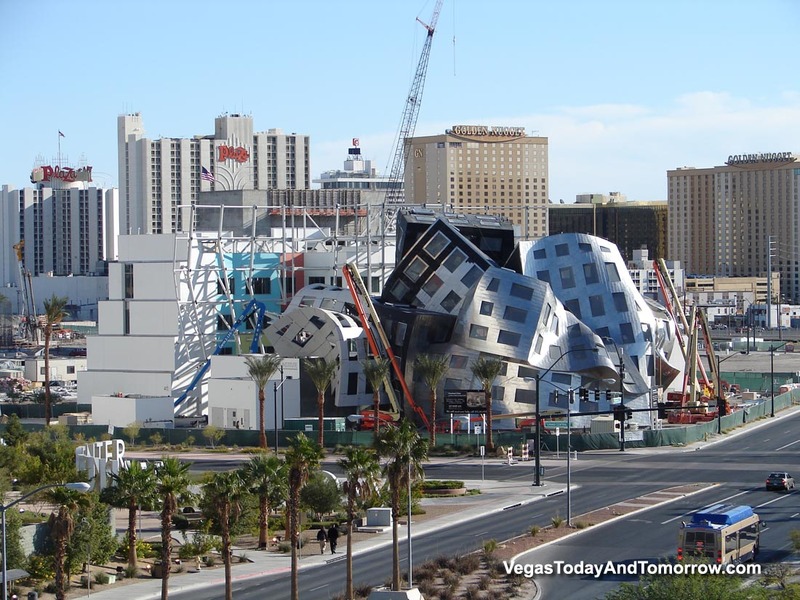 Although the crumpled, melting exterior of the public areas are not yet finished, the business side of the Ruvo Center is open and operating. 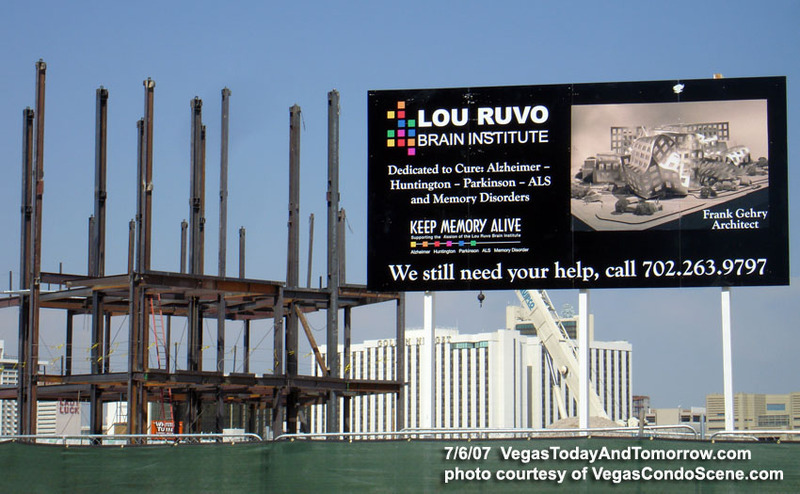 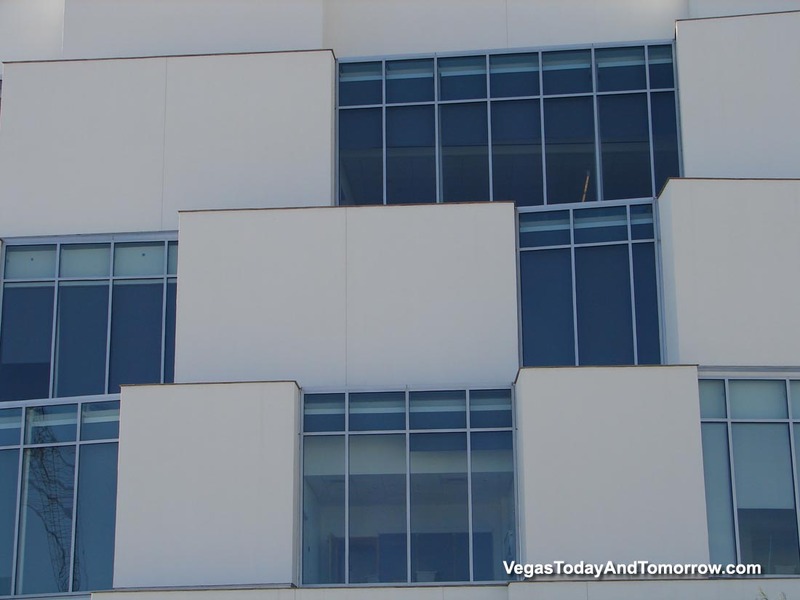 Lou Ruvo Brain Institute breaks ground. 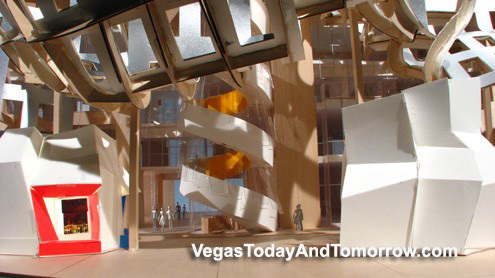 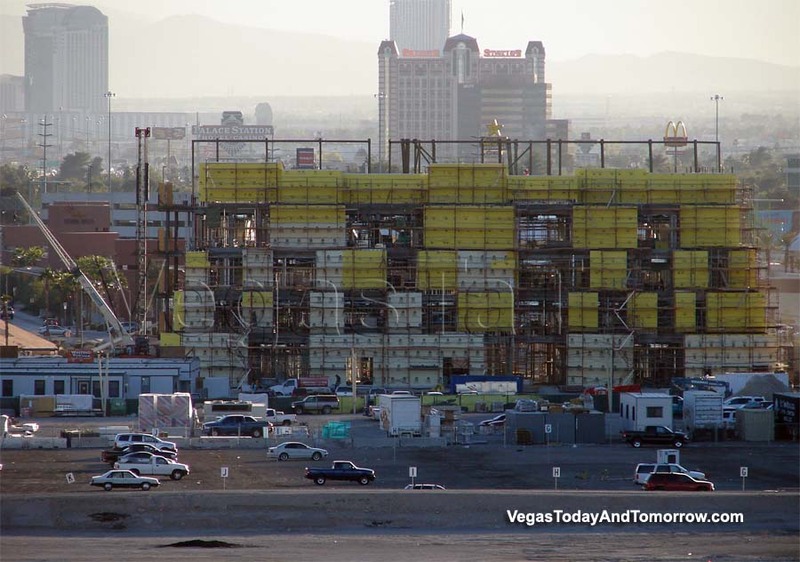 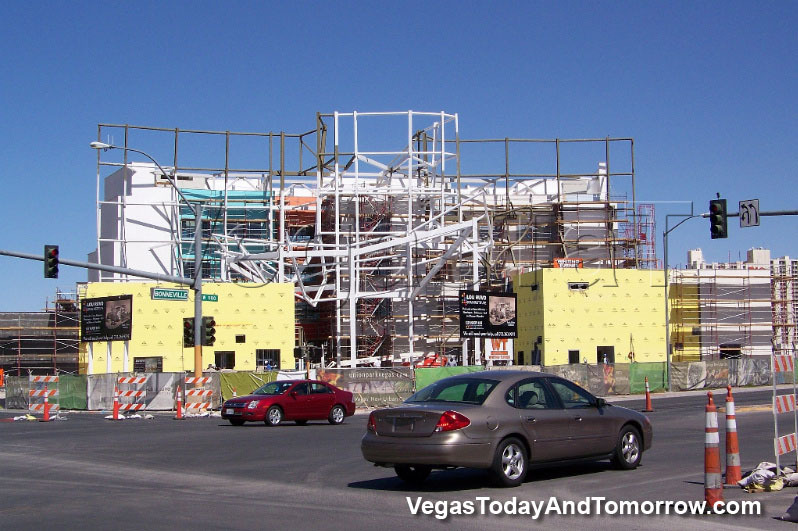 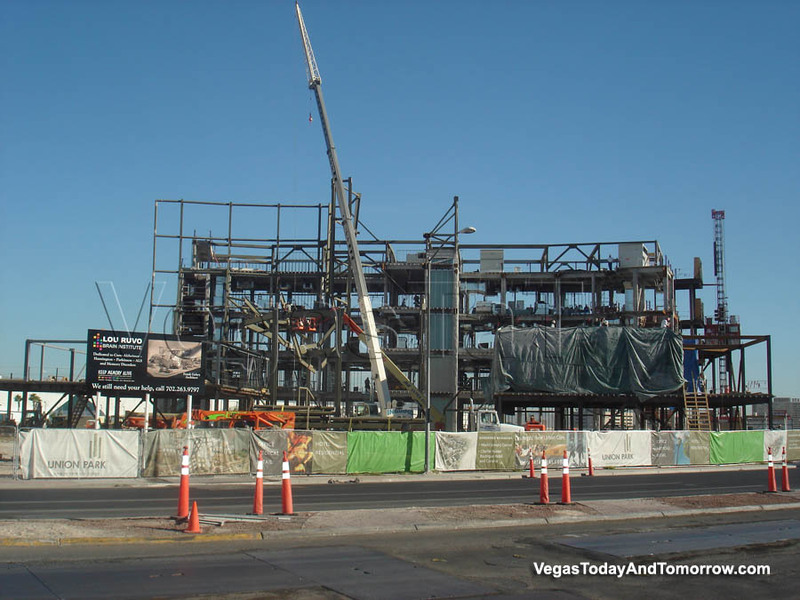 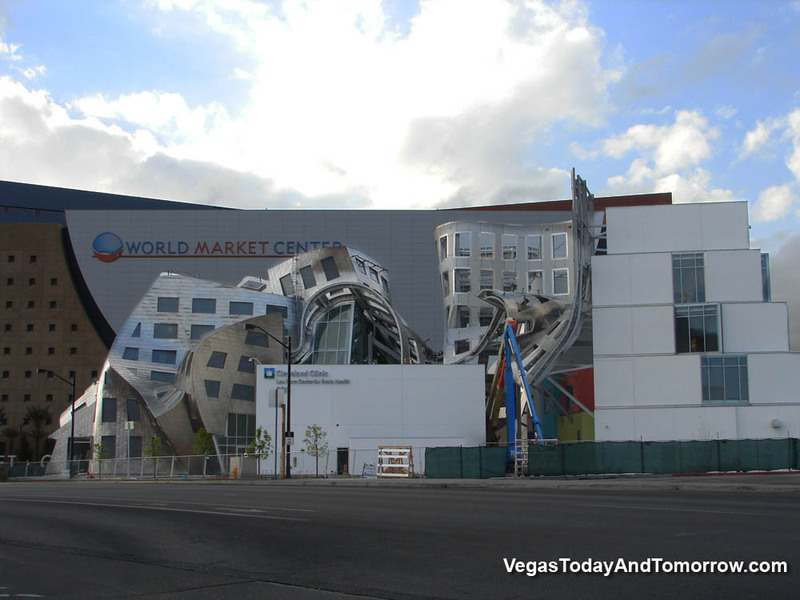 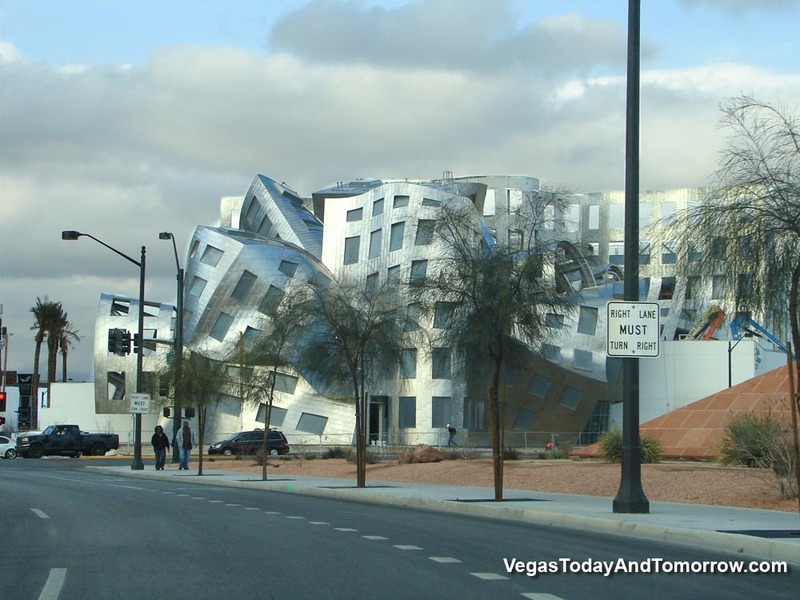 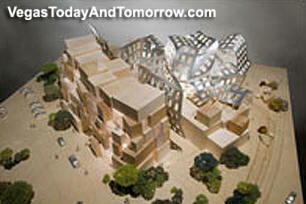 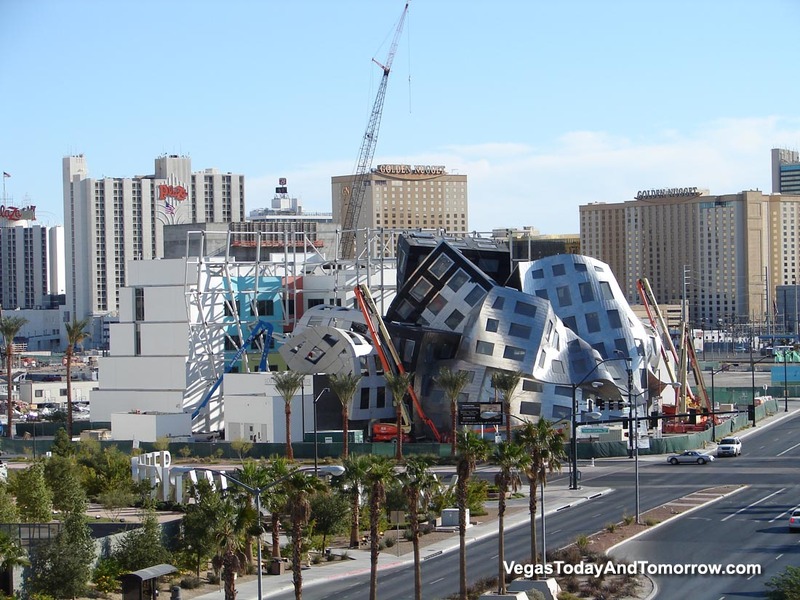 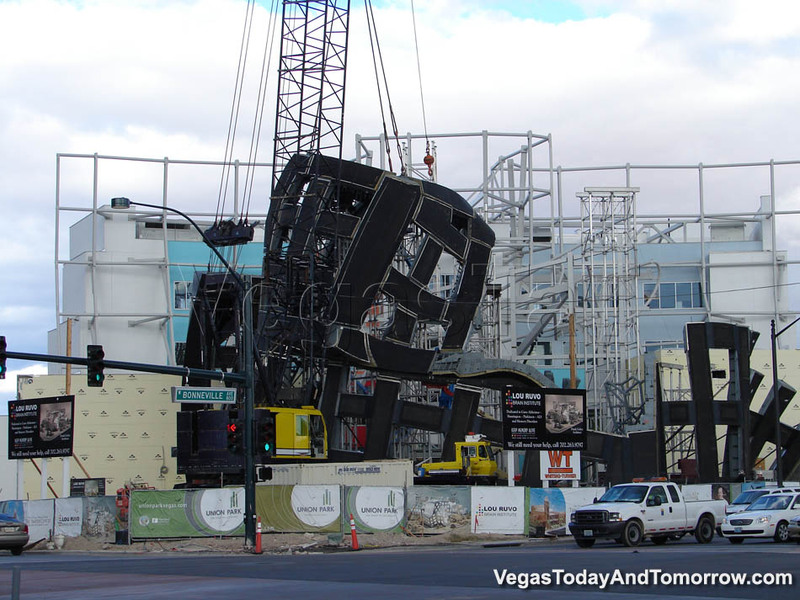 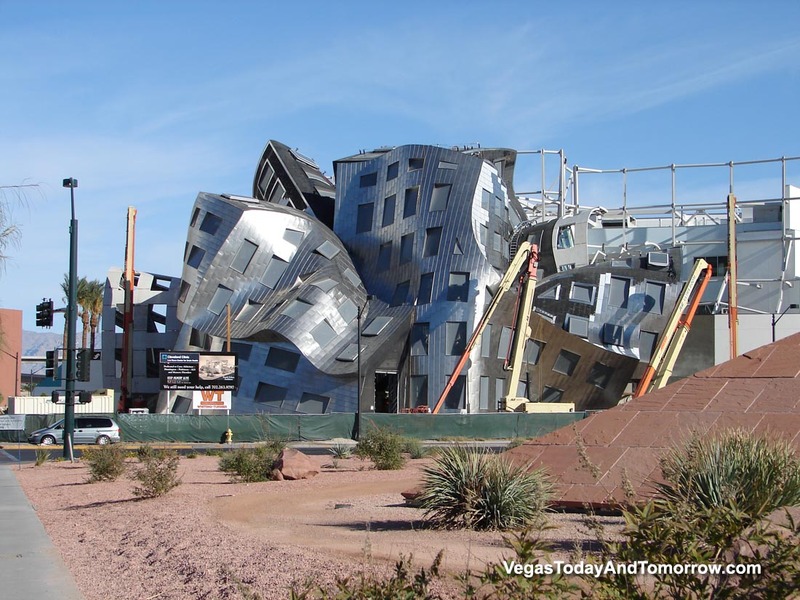 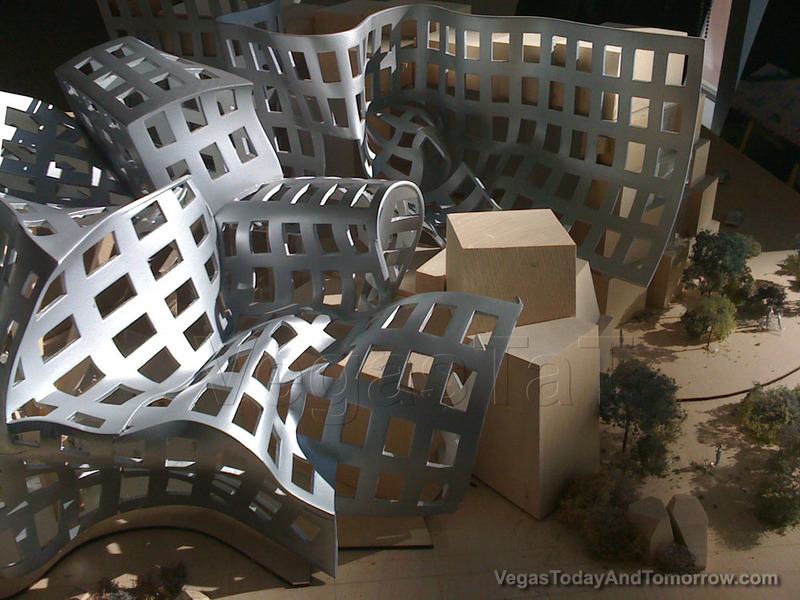 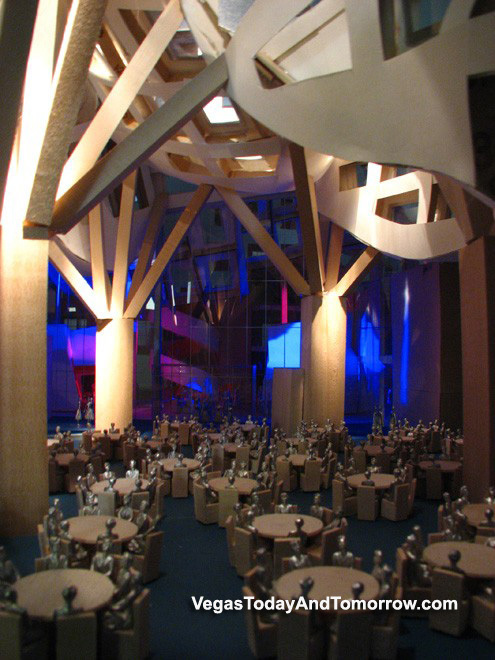 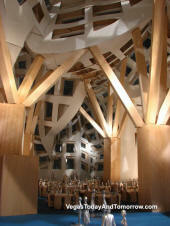 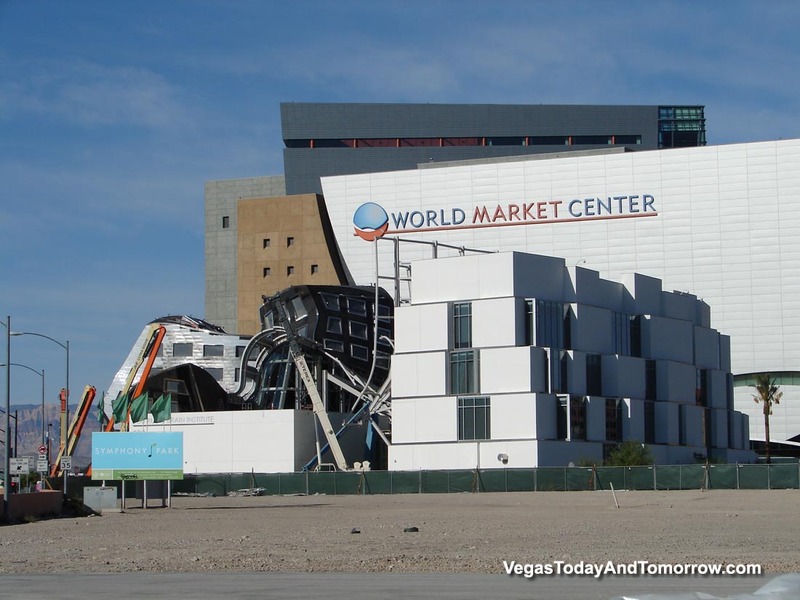 Renowned architect Frank Gehry has been commissioned to design a building in Las Vegas. 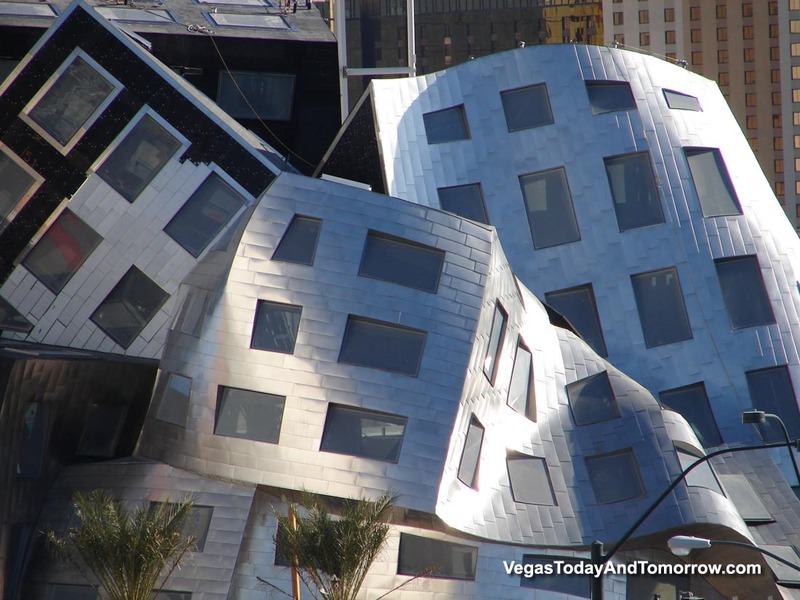 The Pritzker Prize-winner also created the stunningly angular, metallic-skinned structures such as the Guggenheim Museum Bilbao, Spain and the Walt Disney Concert Hall in Los Angeles. 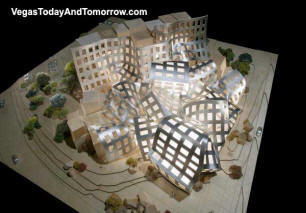 Widely considered one of the world's leading architects, Gehry has designed the Alzheimer's Research Center for downtown's 61-acre Symphony Park development. 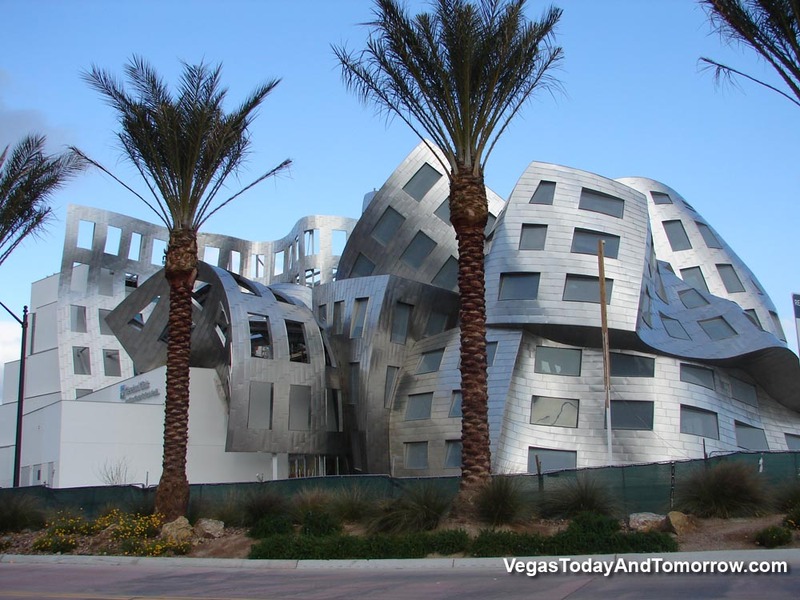 The Institute consists of approximately 67,000 square feet, including 13 examination rooms, offices for healthcare practitioners and researchers, a "Museum of the Mind," a community auditorium, and a Wolfgang Puck café. 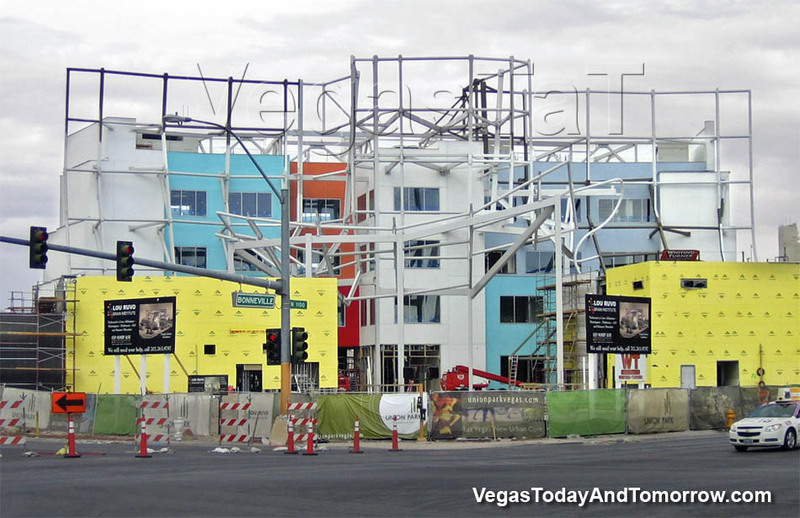 The top photo is the view that folks will see when driving by the corner of Bonneville and Grand Central Parkway. 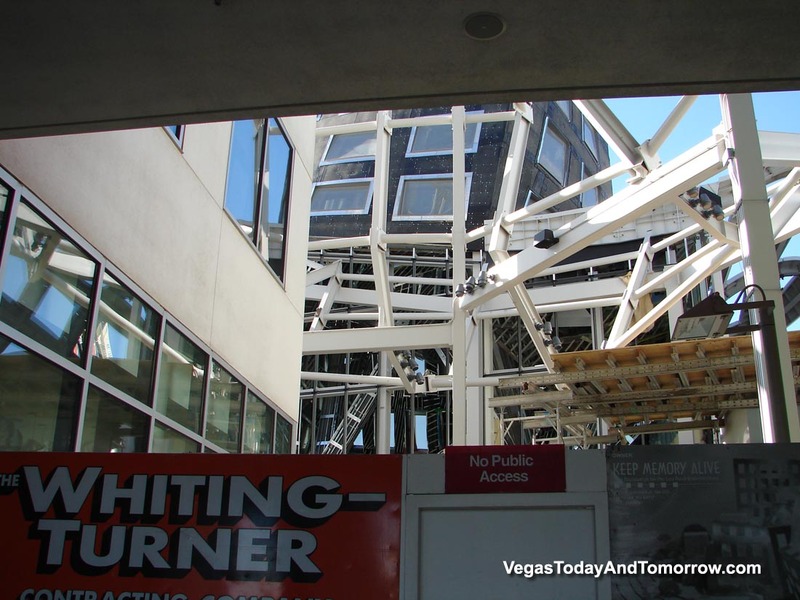 A metal lattice covered atrium will grace that corner. 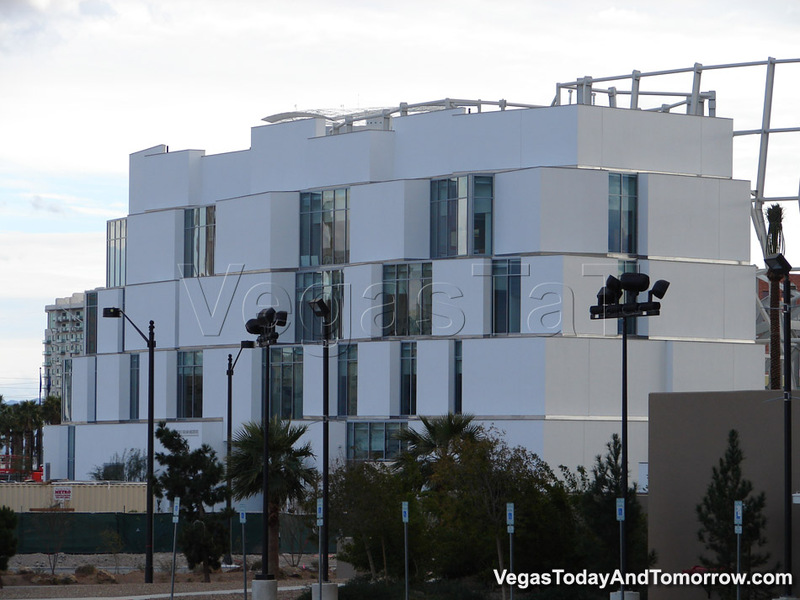 The next photo shows the main entrance and research center. 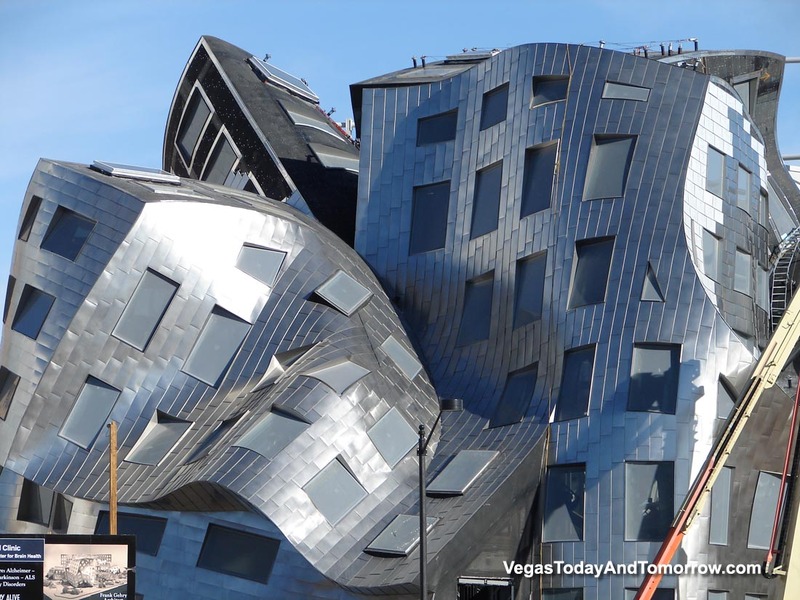 Five stories of haphazardly placed blocks with open spaces between them lends some whimsy to this architectural masterpiece. 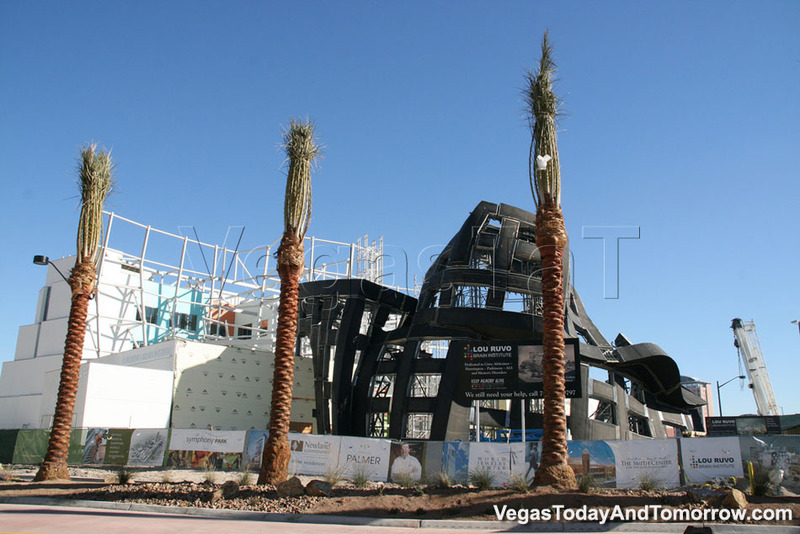 Opening sometime in late 2010. 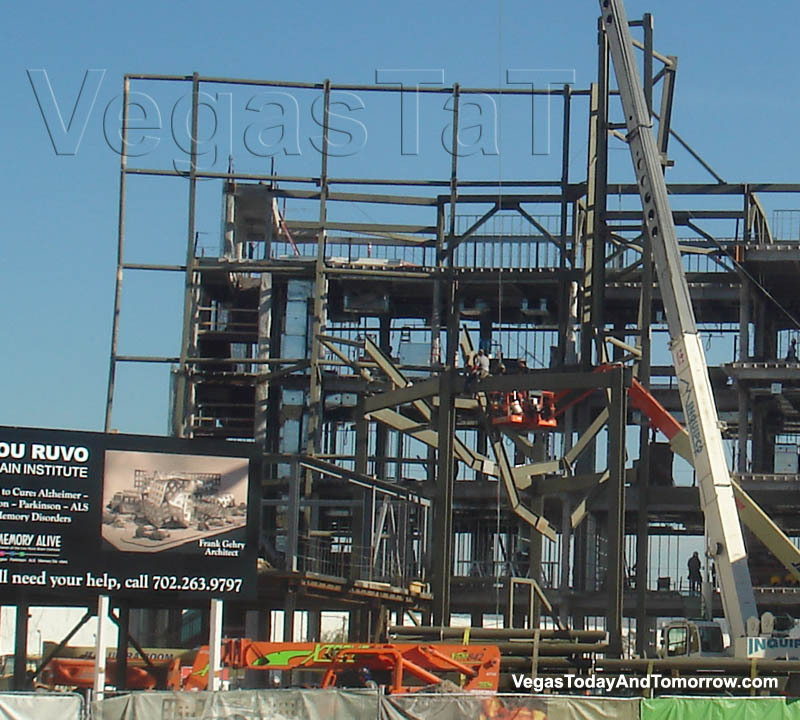 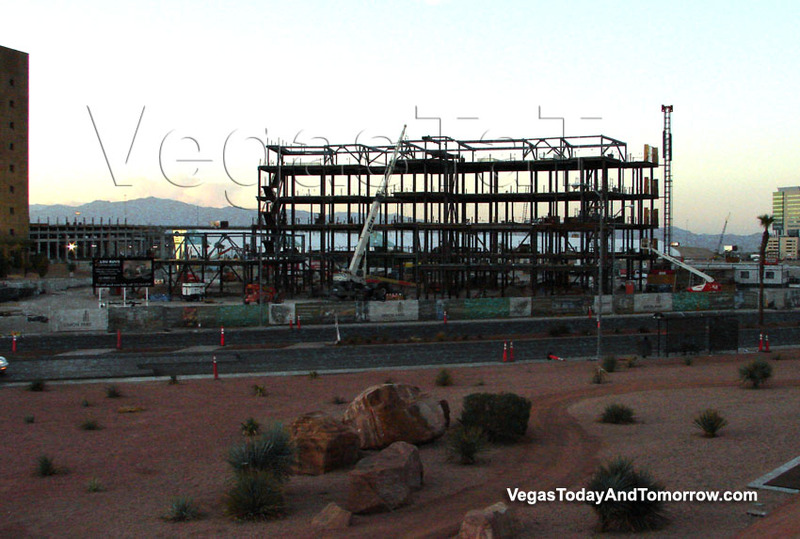 Several shots taken on 11/30/09 by Mark Adams, show slow the progress of this complicated structure. 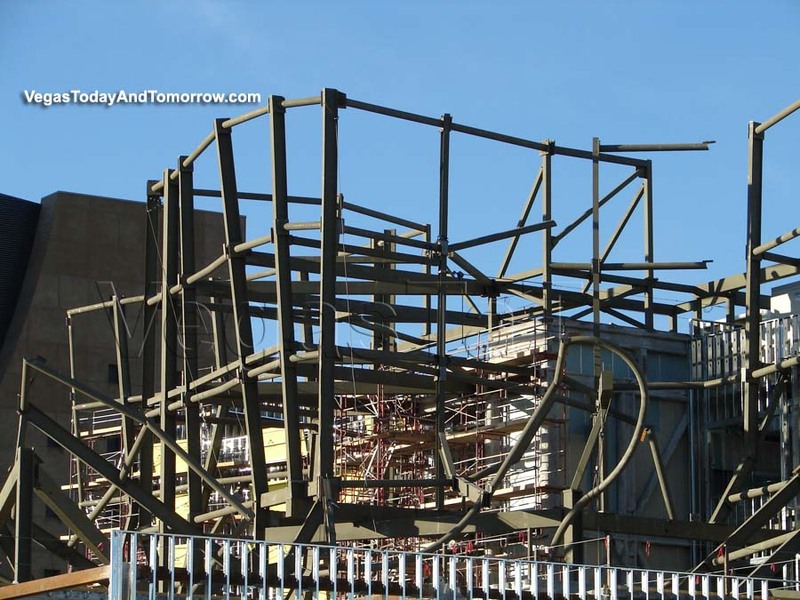 Photos 1/24/09 by Keith Bradley. 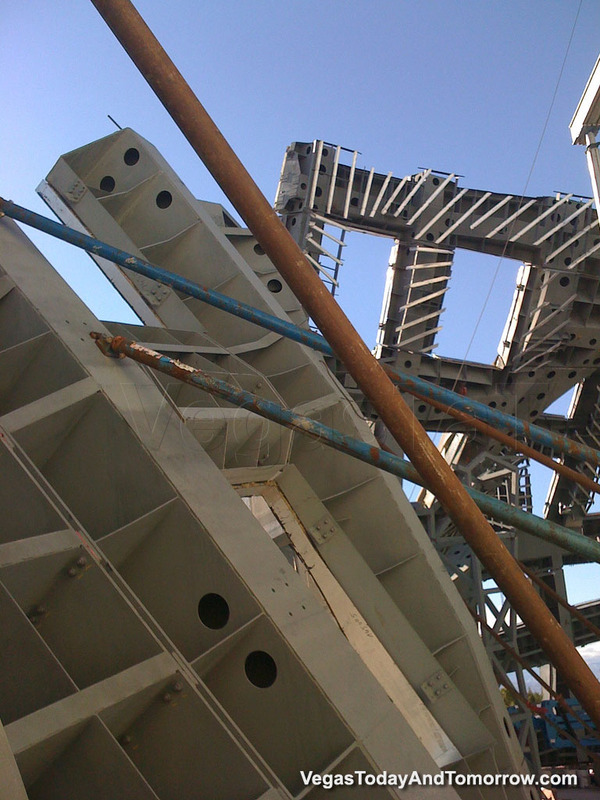 Work on the complicated framework is still underway. 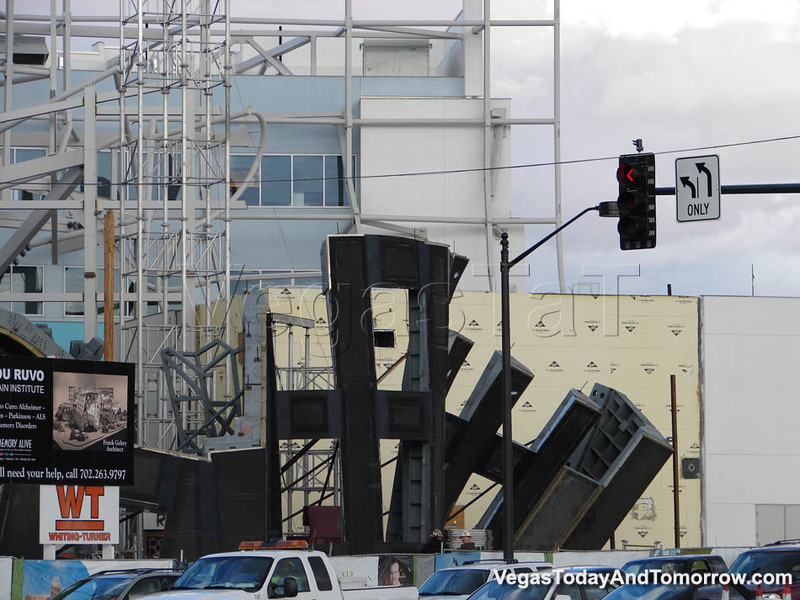 The other side appears to be completed. 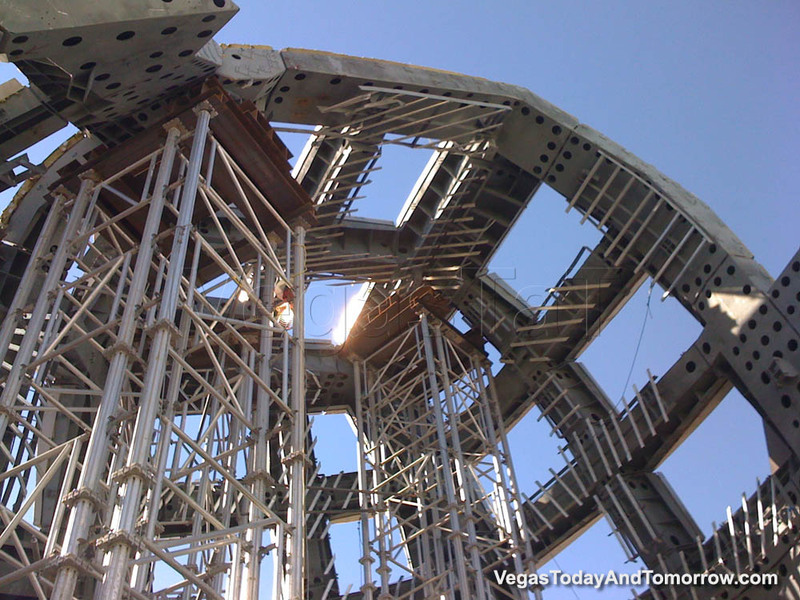 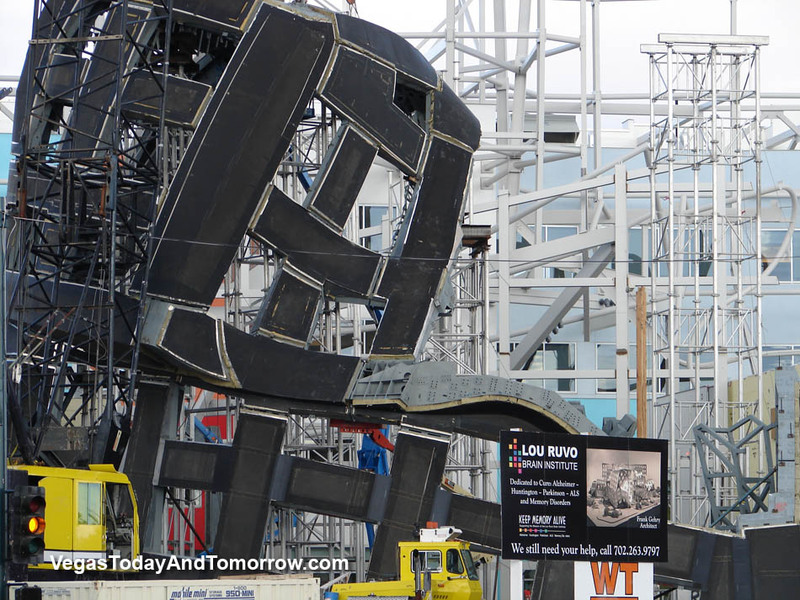 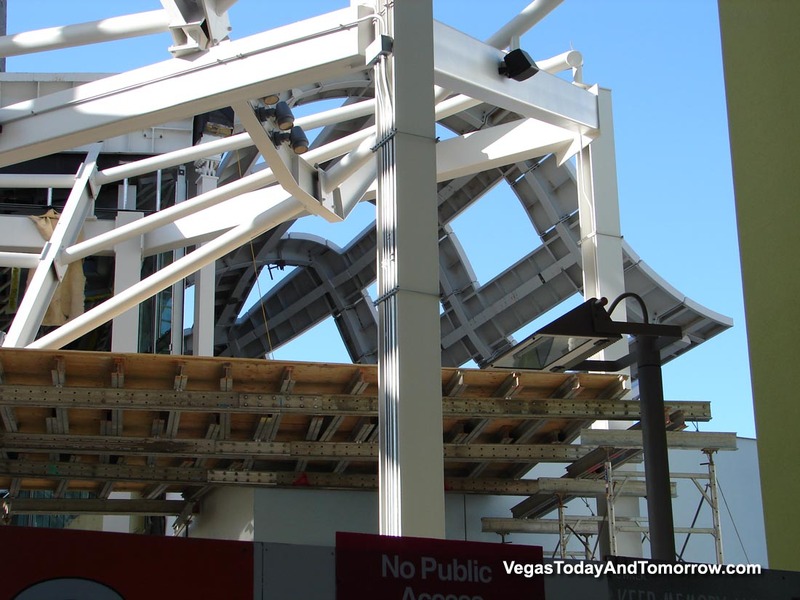 Finally, the curvy, free-form, steel facade is being installed. 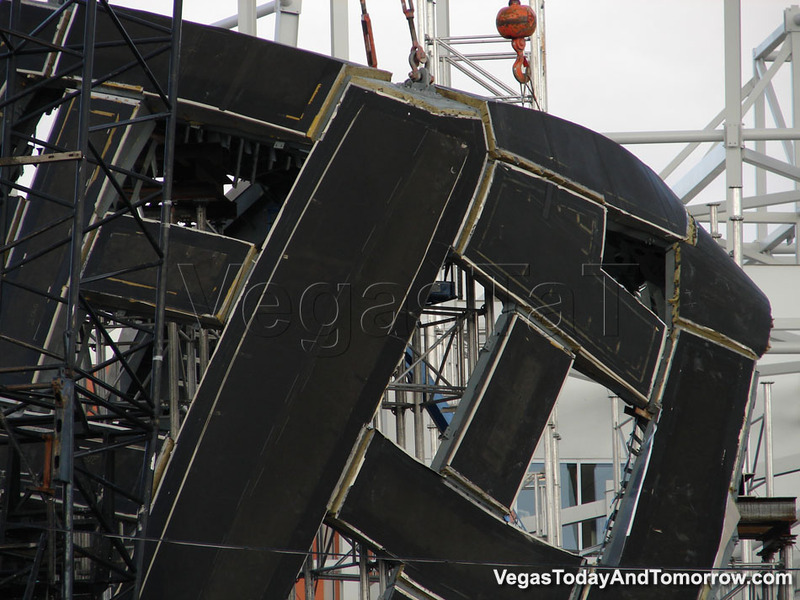 The pieces are wrapped in black paper for protection. 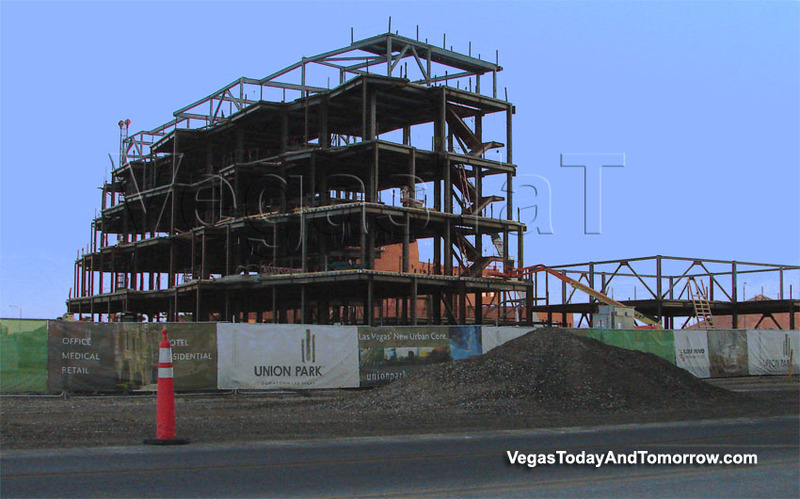 Photo 6/8/08 by Mark Diederichsen.. 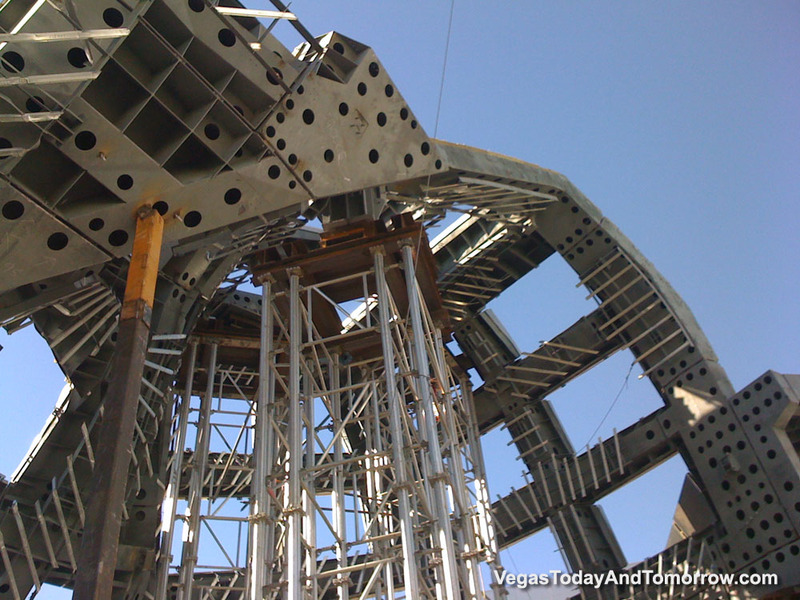 These photos, shot on 4/24/08 by Andrew Barber, show both sides of the structure. 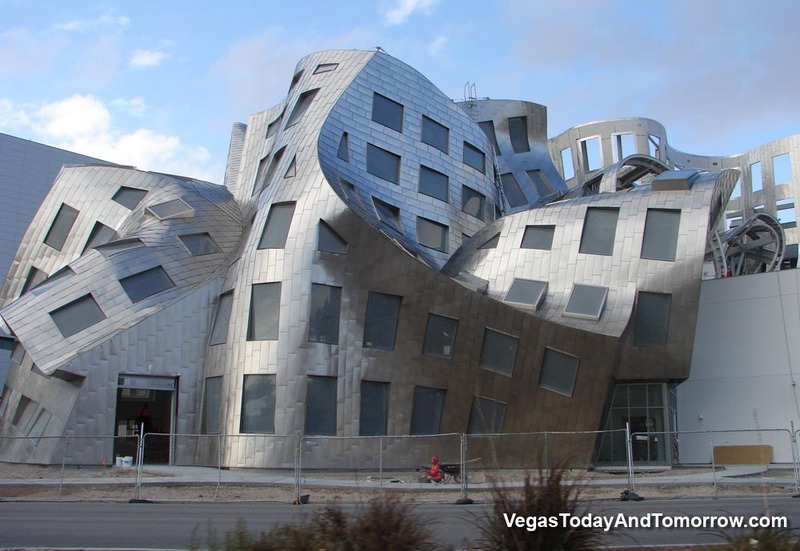 No sign yet of the wavy stainless skin. 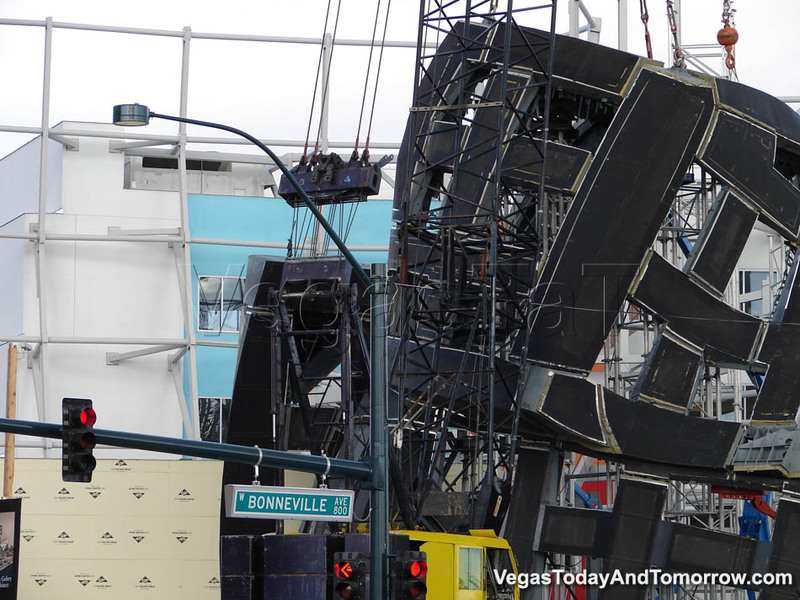 The boxy side is interesting. 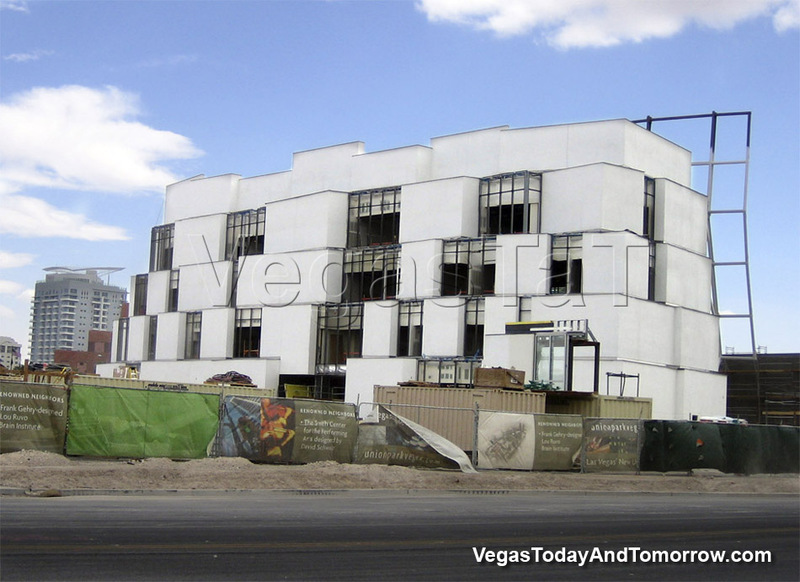 side of the building is hap-hazard blocks. 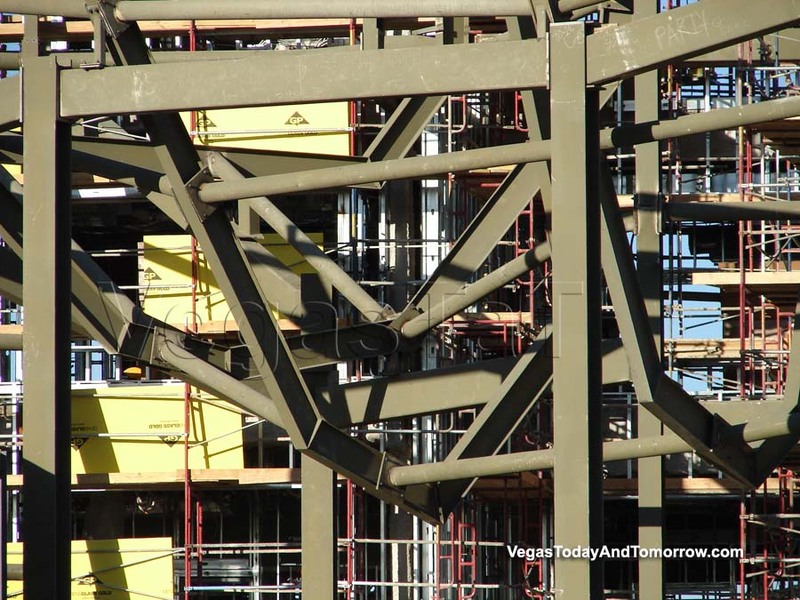 must be a construction nightmare.